Benefits: Choosing HB McClure for your propane needs helps reduce cost while ensuring unparalleled service. We offer competitive rates, automatic delivery options, equipment service – even help unchaining yourself from a current provider. Consider us when: You want to reduce propane costs, want to consolidate all HVAC services with one trusted provider or need assistance with breaking away from expensive or unreliable propane companies. 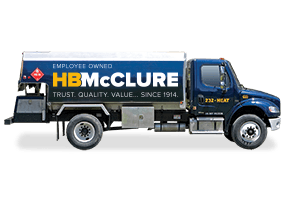 Benefits: HB McClure is one of central Pennsylvania’s most reliable fuel oil delivery providers. We offer a range of solutions designed to reduce your fuel oil costs while providing guaranteed comfort. Consider us when: You have had difficulty in scheduling oil delivery, your provider has missed delivery or you want to find ways to reduce your oil costs. Pre-Buy Options –When you purchase your fuel in advance, you lock in a preseason rate that is often more competitive than in-season rates. Your price will not go up during the winter no matter what happens in the world oil markets. You make one payment upfront and specify the number of gallons you want to buy. There are downsides (such as buying too little or watching rates fall throughout the season) and your HB McClure Comfort Consultant can walk you through the decision-making process to identify the right solution for your needs. Price Cap – Consider price cap when you sign up for a monthly payment plan. If oil prices go up, your price will never go above the cap. If the price goes down, you pay the lower amount. There is a fee for this protection that is added to your monthly payments over the course of your agreement. We have a variety of solutions. Learn more or discuss with your HB McClure Comfort Consultant. Benefits: Simplify the process of identifying a low-cost provider with HB McClure’s simple tool. We have access to more than 30 of the nation’s largest and most dependable energy suppliers, guaranteeing the lowest rates possible. 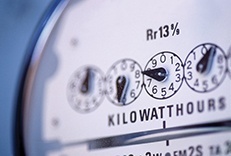 Consider it when: You want to reduce your electricity bills and want to streamline the process of finding the low-cost provider. Visit www.hbmcclure.com/electric, choose your electric utility provider, and start comparing rates to find the best plan for your home. *Limitations Apply. Call for details. Trust HB McClure for competitive fuel oil and propane prices, reliable delivery and more.